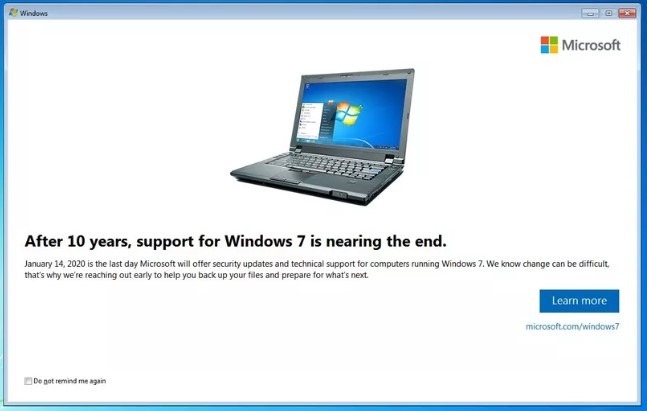 Microsoft has started rolling out an update to Windows 7 that will notify existing users about the end of the support. After 10 years of servicing, January 14, 2020, is the last day Microsoft will offer security updates for computers running Windows 7 SP1. We can help you transition to the latest technology while preserving your programs and data.